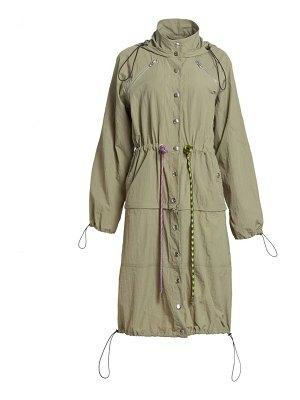 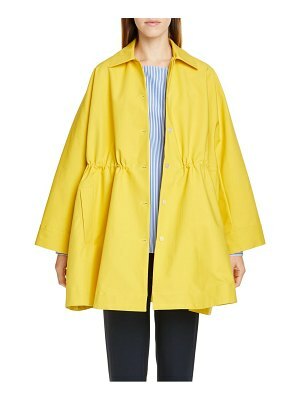 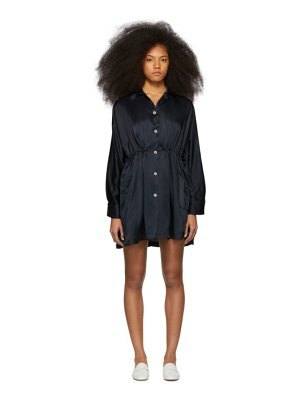 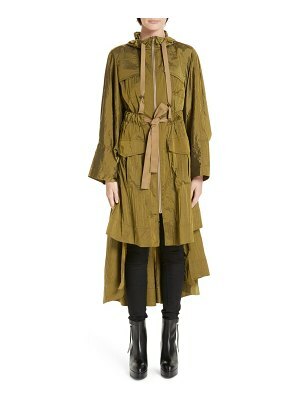 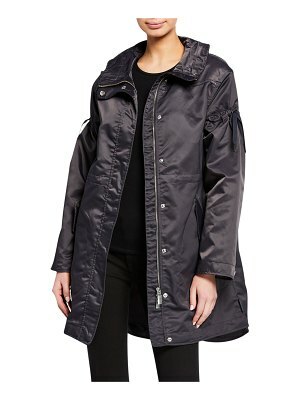 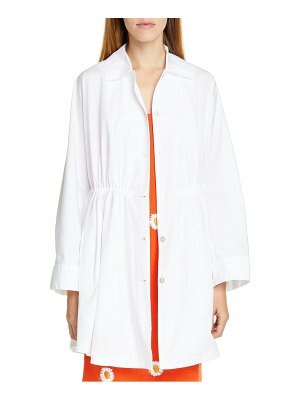 This drawstring coat embodies the vision of New York brand Proenza Schouler. 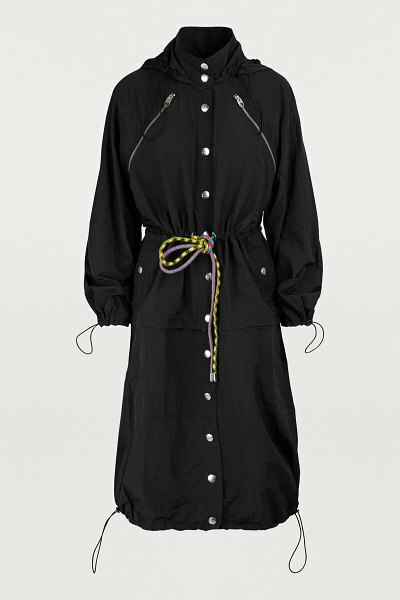 It underlines the importance that the two designers give to details, here in the form of big snap buttons and zippers on the front, and also with the drawstrings that bring an overall colorful and playful note. 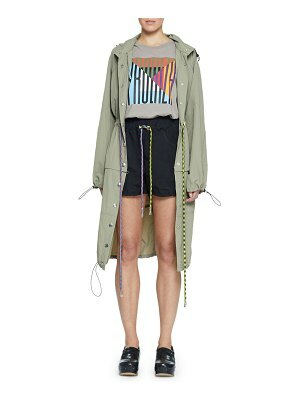 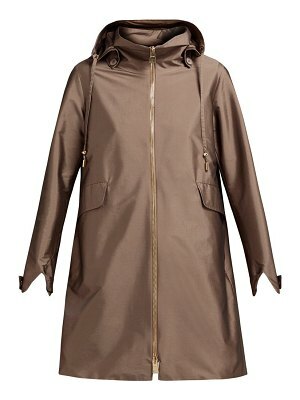 For a truly urban look, wear this coat with sneakers.